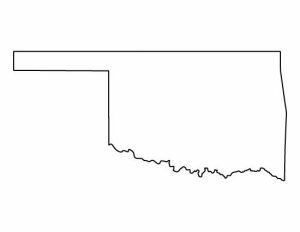 Oklahoma currently has three waivers/programs that serve children, including a TEFRA program and two home and community based 1915(c) waivers. The TEFRA program waives parent income, the Community waiver does not, and we are unsure of the deeming status of the In-Home Supports waiver. See Oklahoma's HCBS Waivers page for general information. Oklahoma also has several adult-only waivers, including Advantage Waiver, Homeward Bound, In-Home Supports Waiver for Adults, and Medically Fragile. How to Apply: Apply at your County Office. Description from medicaid.gov: Provides adult day health, habilitation training specialist services, homemaker, prevocational, respite, supported employment, nursing, prescribed drugs, agency companion, audiology services, community transition, daily living supports, dental, environmental accessibility adaptations and architectural mods, extended duty nursing, family counseling, family training, group home, intensive personal support, nutrition, OT, PT, physician services (provided by a psychiatrist), psychological services, remote monitoring, specialized foster care, specialized medical supplies and assistive technology, speech therapy, transportation for individuals with ID, ages 3 – no max age. How to Apply: Contact your Local Area Office. Waiting List: 7538 people with developmental disabilities are on Oklahoma's waiting list. Target Population: Children with intellectual disabilities. Description from medicaid.gov: Provides habilitation training specialist services, prevocational services, respite, supported employment, environmental accessibility adaptations and architectural modification, family training, occupational and physical therapy, self directed goods and services (SD-GS), specialized medical supplies and assistive technology for individuals with IID, ages 3-17.